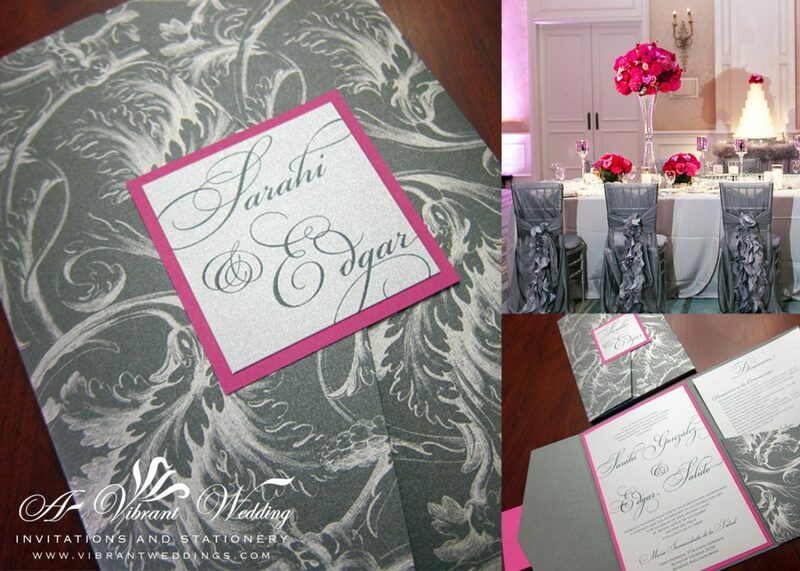 Can’t find what you’re looking for…customize your invitation to match your colors and theme with A Vibrant Wedding! $6.00 per invitation suite for 100 invitations fully assembled. $5.00 per invitation suite without assembly. Included are 5×7″ Triple-layered Invitation, Double-layered Response card, and two blank metallic envelopes (Champagne or Ivory). Try a single-layered flat style invitation for a less expensive alternative. Or upgrade to our PocketFold or PocketCard Styles. 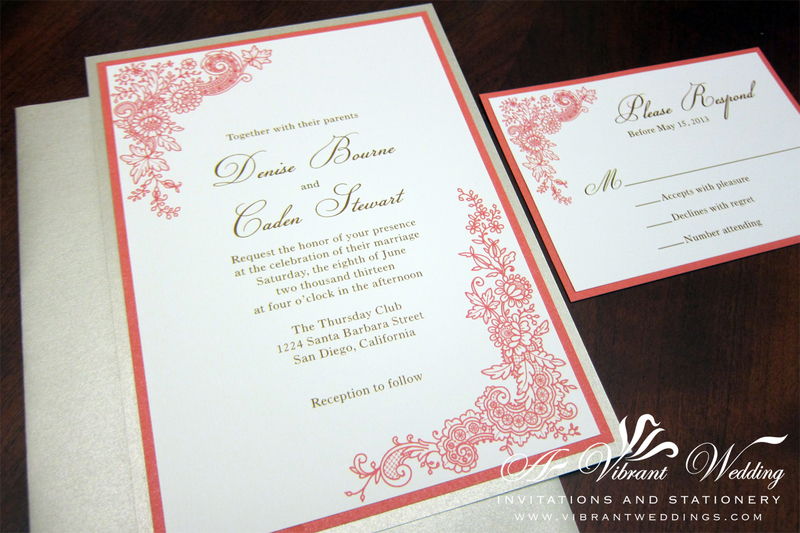 5×7″ Coral and Champagne Triple-layered wedding invitation with Floral Lace Design.